The Mysore Grahakara Parishad (MGP) had shared eight problems to be addressed by candidates contesting from Mysuru. MGP made elaborate arrangement to organise first of its kind debate in Mysuru inviting main political party candidates from Chamaraja constituency to interact with the voters. Before launching the initiative, MGP had discussed the concept of public debate with the former Deputy Commissioner, Shivakumar. Earlier we had got a message from Karnataka’s election officer, Sanjiv Kumar that there are no bars to hold such debates. DC was appreciative of our efforts and felt such debates are useful to attract literate voters. But he had warned us to comply with the strict model code of conduct. On April 26th, MGP had secured all the permission from the returning officer of Chamaraja constituency after making several trips to different offices. Police Commissioner had agreed to give us security on the day of the debate. It was bolt out of the blue when MGP got a call late in the evening of April 26 from DC’s office that such public debates are banned. In addition MGP also got threatening calls from the followers of some independent candidates that if their leaders are not invited they would disturb the meetings. Since it will be difficult to have a meaningful debate if independent candidates (there have been many independent candidates in the past and many were not serious. This time there are 10 independent candidates) are also included, we had decided to restrict the event to nationally recognised political parties. Since MGP wanted to avoid any law and order problem, with a lot of disappointment it was decided to drop the idea of the debate after all the arrangements were made. A public debate would have served the purpose of informing the voters on the vision of the candidates in the most effective way. In all developed countries no election will take place without such debates. Unfortunately because of the likelihood of violence and law and order problem, MGP decided on the next best alternative of making use of social networks. We wanted to know how candidates plan to address the following eight problems faced by Mysureans. We asked candidates to send their responses by May 4th so that MGP volunteers can share it with the netizens through various social networks and with the media to inform the voters on their vision for Mysuru. Politicians and bureaucrats demand bribes from contractors for allotting contracts. It is a well-known fact that elected politicians get certain percentage of contract value whether one demands or not. Will you accept such commissions? Projects like construction of library in People’s Park, straightening of road near DC’s residence on Hunsur road, Science Centre proposed on Kukkerahalli lake bed, Multi Level car park on Chamundi Hill, sewage entering Kukkerahalli lake are all against the interest of the people and in some cases not legal. Mysore still does not have 24×7 water supply in spite of spending crores of rupees. Power supply continues suffer from frequent blackouts and brownouts. Traffic is increasing and there is every chance of Mysuru going the Bengaluru way. Mysore’s heritage value is diminishing on account of bad planning. Garuda Mall, Multi Level car par in Town Hall Complex, plans to construct a modern building at the Devaraja Market and Lansdowne building complexes etc. Despite such acts like RTI, SAKALA, Consumer Protection Act voters are unable to get the needed services from government institutions. Thoughts on prevention of violence on women and children. Pratham’s ASER survey has showed that children in government schools are falling behind in their studies. Rating of Mysore university based on the latest survey has fallen drastically. UGC has still not extended its recognition to KSOU and lakhs of students are suffering. What plans do you have to promote higher standards in education from pre school to university. None of the candidates responded before the election, but the issues are listed here for the record, so citizens can track what the elected MLAs do to resolve them. 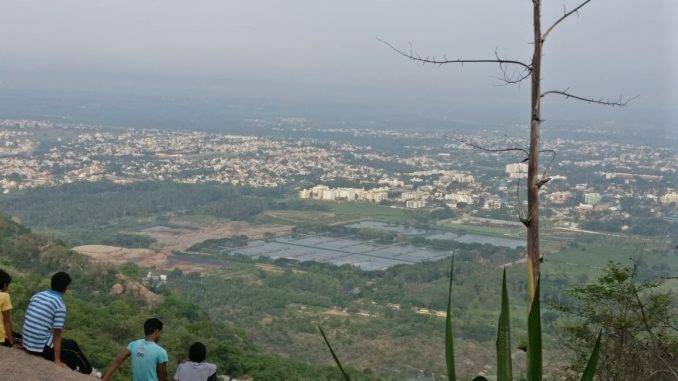 This write up was shared by Bhamy Shenoy, a resident of Mysuru. Hope many Mysoreans will read this article.